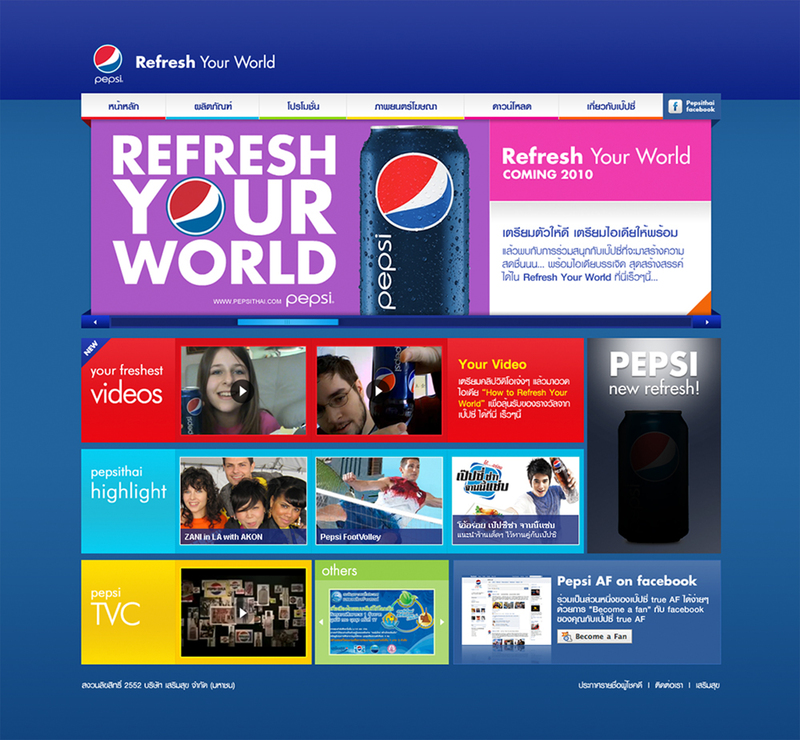 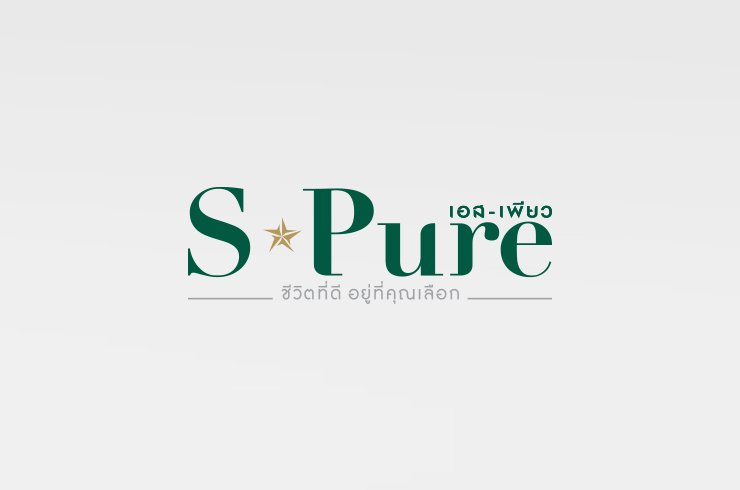 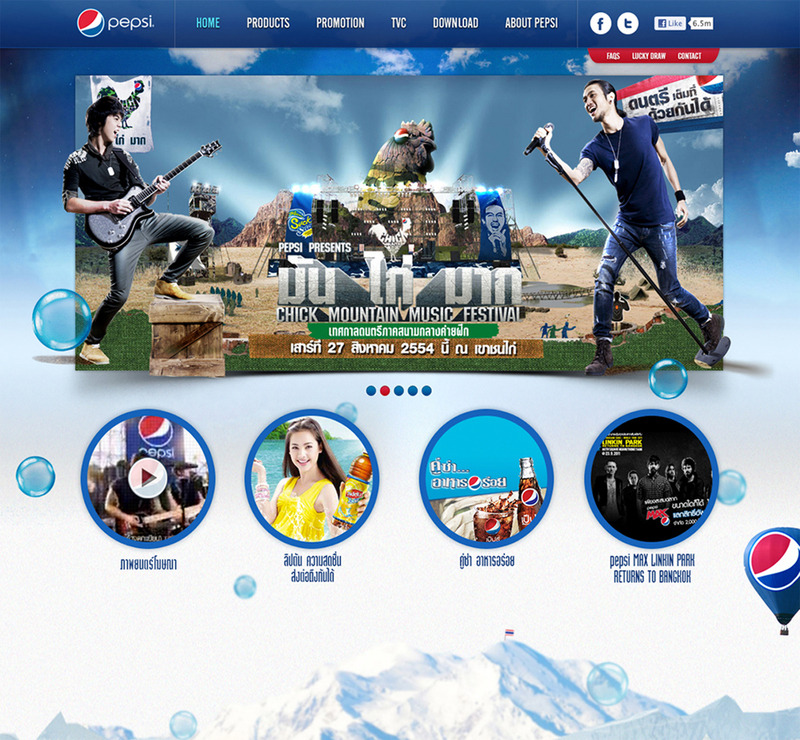 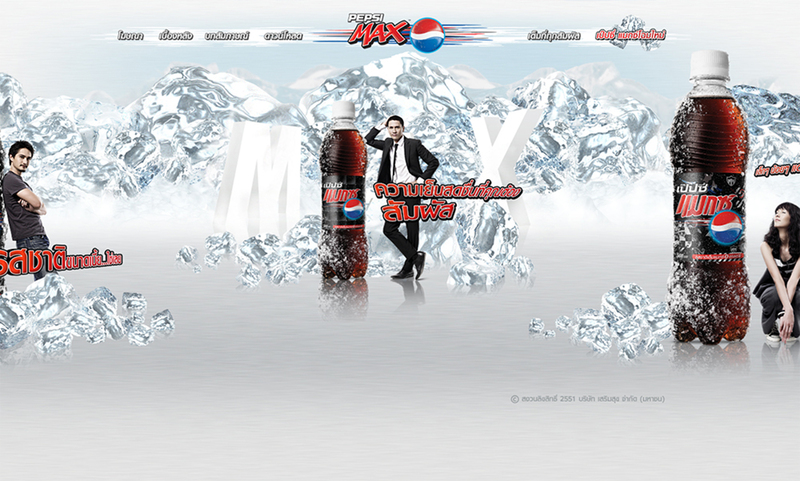 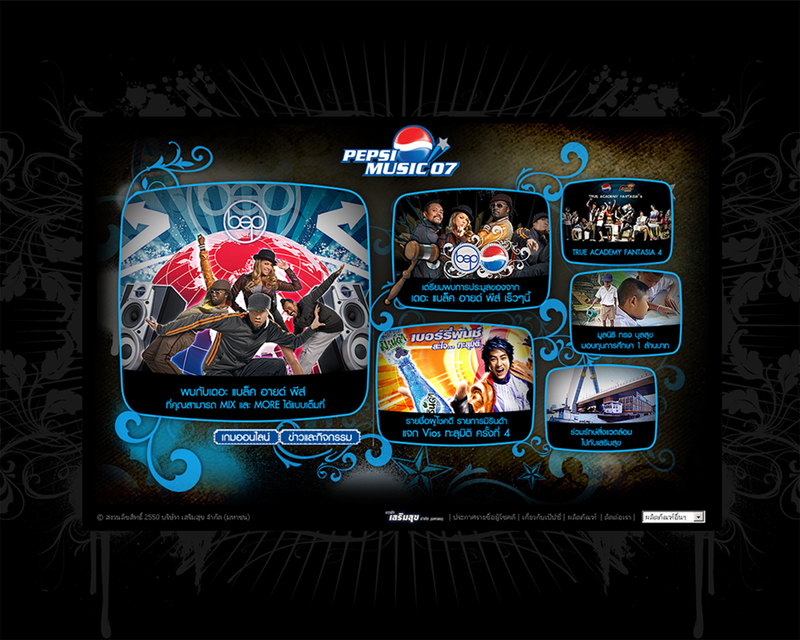 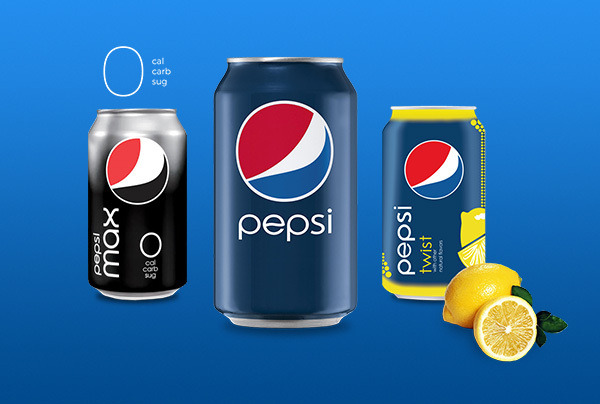 A product website for Pepsi Thailand. 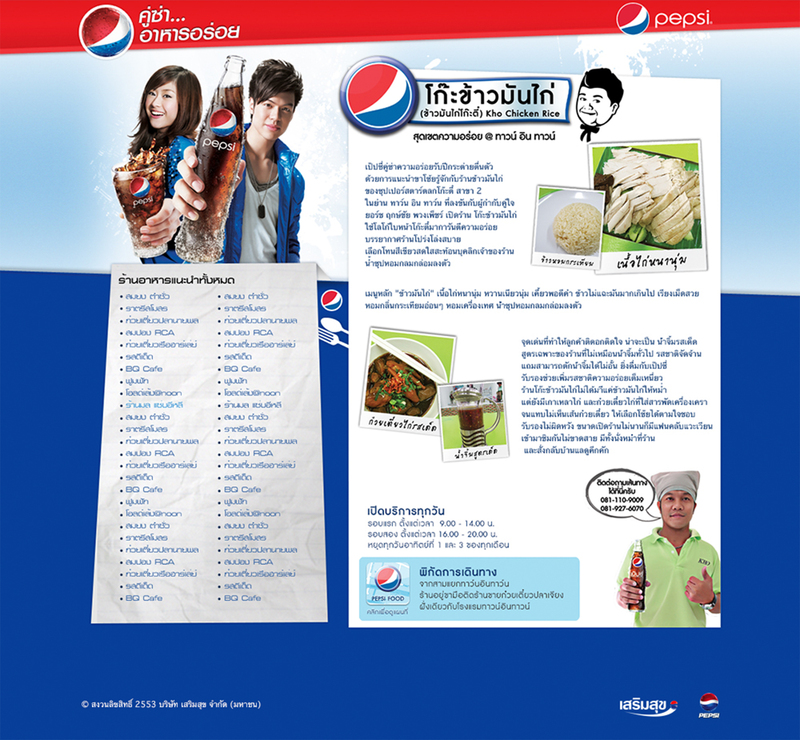 Information about Pepsi’s promotions and activities is always updated to keep customers up-to-date. 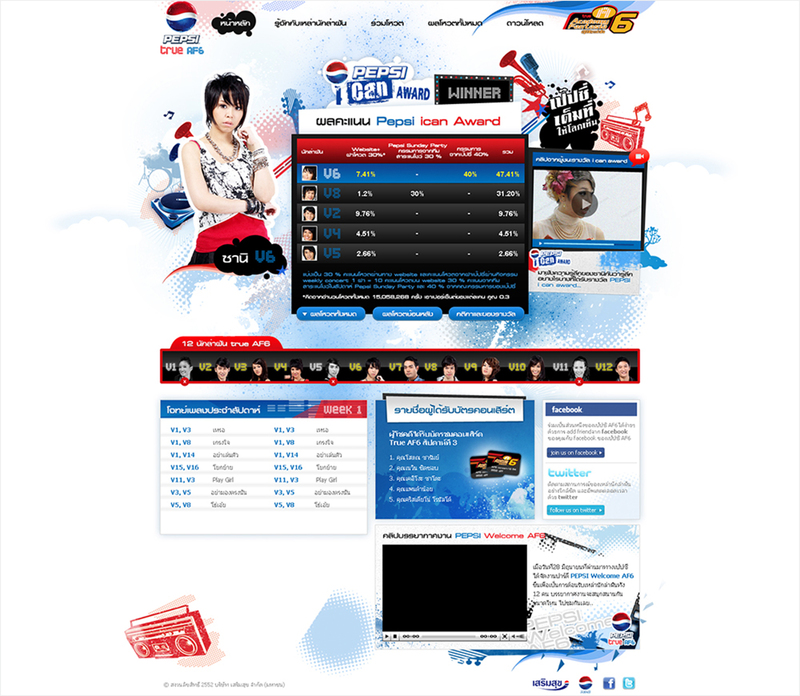 The design for Pepsi Thai’s website will always correlate with Pepsi’s global theme for coherent brand direction.